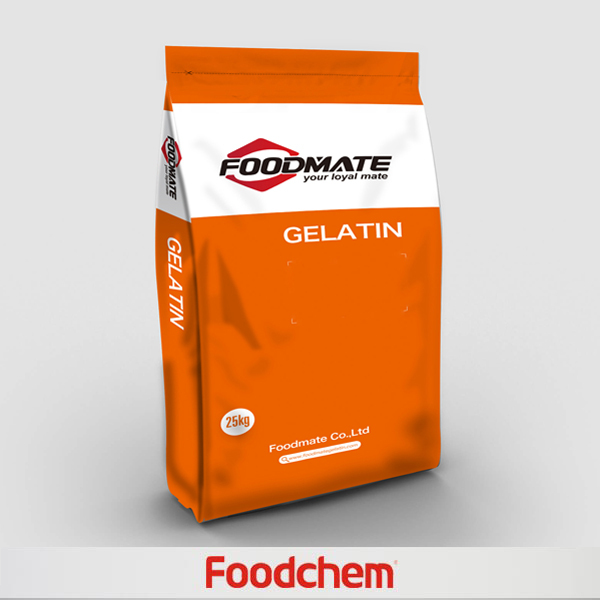 Gelatin is one of the popular food additives and ingredients in most countries, As a professional Gelatin supplier and manufacturer, Foodchem International Corporation has been supplying and exporting Gelatin from China for almost 10 years, please be assured to buy Gelatin at Foodchem. Any inquiries and problems please feel free to send emails to us via sales@foodchem.cn, we will reply you within 1 working day. Gelatin (or gelatine) is a translucent, colorless, brittle (when dry), flavorless solid substance, derived from the collagen mainly inside pig skin (hide) and cattle bones. It is commonly used as a gelling agent in food, pharmaceuticals, photography, and cosmetic manufacturing. Substances containing gelatin or functioning in a similar way are called gelatinous. Gelatin is an irreversibly hydrolysed form of collagen, and is classified as a foodstuff. It is found in some gummy candies as well as other products such as marshmallows, gelatin dessert, and some ice cream and yogurt. Household gelatin comes in the form of sheets, granules, or powder. Probably best known as a gelling agent in cooking, different types and grades of Gelatin are used in a wide range of food and non-food products: Common examples of foods that contain gelatin are gelatin desserts, trifles, aspic, marshmallows, candy corn, and confections such as Peeps, gummy bears and jelly babies. Gelatin may be used as a stabilizer, thickener, or texturizer in foods such as jams, yogurt, cream cheese, and margarine; it is used, as well, in fat-reduced foods to simulate the mouthfeel of fat and to create volume without adding calories. Eggs in aspicGelatin is used for the clarification of juices, such as apple juice, and of vinegar. Isinglass, from the swim bladders of fish, is still used as a fining agent for wine and beer.Beside hartshorn jelly, from deer antlers, isinglass was one of the oldest sources of gelatin. (1).Eat gelatin. 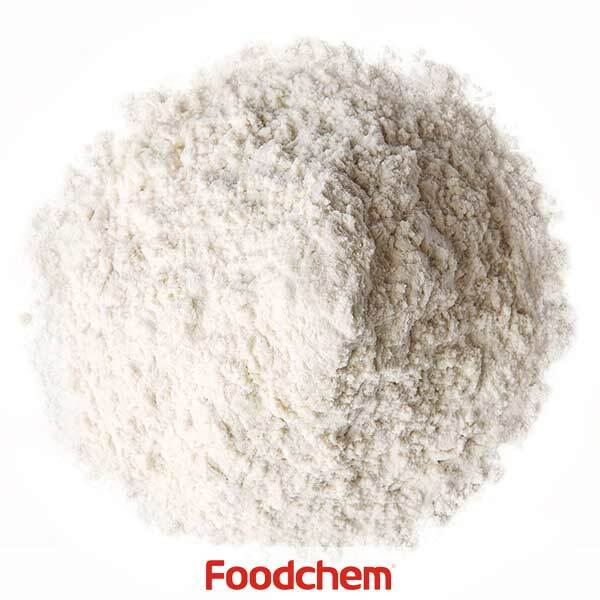 It is an important ingredient and additive in the food industry. 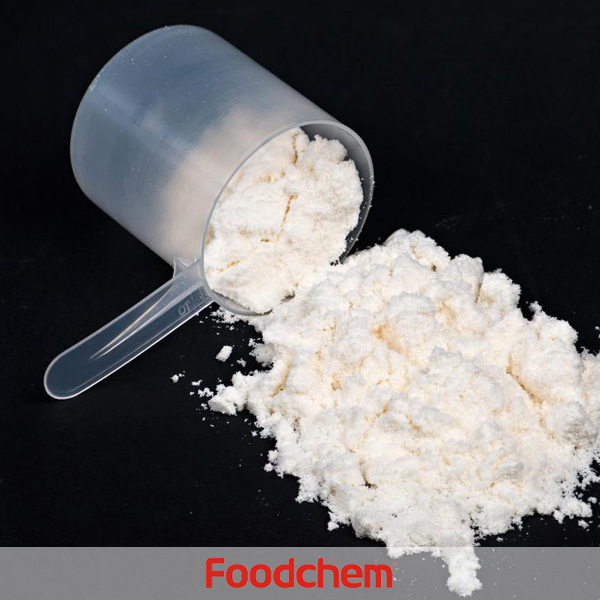 It is often used as a gelling agent, stabilizer, emulsifier, thickener and clarifying agent in the production of meat products, cakes, ice cream, beer, juice, etc. (2).Biofilm material. The most studied gelatin base film materials are mainly chitosan-gelatin blend film, gelatin-silk fibroin blend film, polylactic acid-gelatin blend film and polyvinyl alcohol-gelatin blend film, etc. These mixed materials are greatly improved. The physical and chemical properties of gelatin make the gelatin-based polymer film material more functional. (3).Medical fiber. The blending of other composite materials with gelatin improves the mechanical properties of gelatin-based medical fiber materials. Tissue repair and replacement. (4).Industrial gelatin. Used in the manufacture of fiber textiles, insulating materials, paper, holographic materials, etc. Foodchem is an ISO2008 9001 certified company, as for Gelatin, we can offer HAPPC, KOSHER, HALAL Certificates, ect. Foodchem is both manufacturer and trading company, we are Gelatin distributor, at the same time, we are manufacturer of other products. 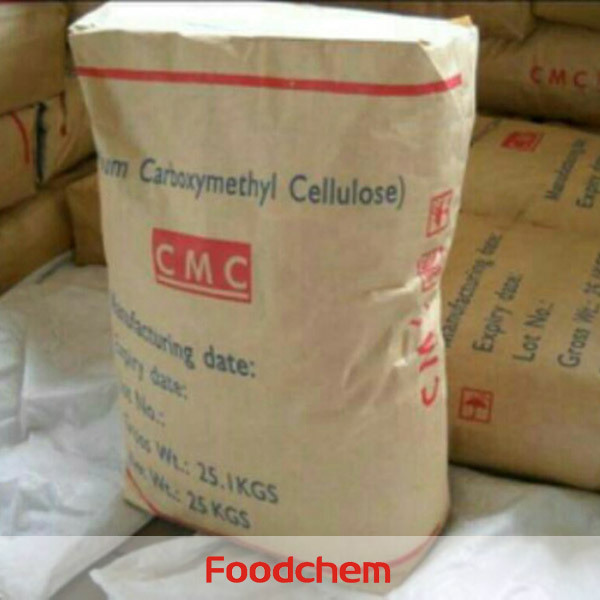 Foodchem is a famous supplier and manufacturer of Gelatin in China, and has been corporate with many Gelatin suppliers for several years, we can provide you with cost-effective Gelatin. Samuel KetemaQ : Interested in prices for the bulk plain Gelatin. Thank you! Justin GazsiQ : Interested in prices for the bulk plain Gelatin. Thanks! FOODCHEM A : Thanks for your interest, we have send you email, please kimdly check, have a nice day. mansourQ : Hello, May i konw if "FoodGelaTM" is your own brand or other factories' band? 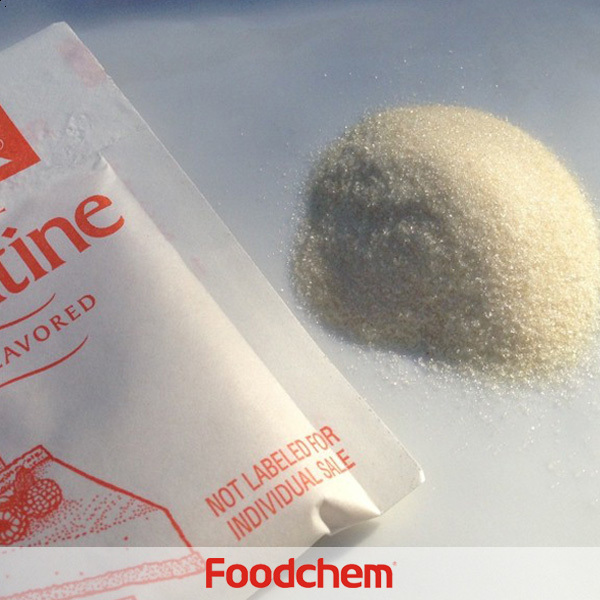 FOODCHEM A : Thanks for your interest,"FoodGelaTm" is our own brand, we have our own Gelatin factory and are able to export our gelatin product overseas. Dmitry Afrosin Q : Hi there, i'm looking for Gelatin powder industrial grade, can you supply? 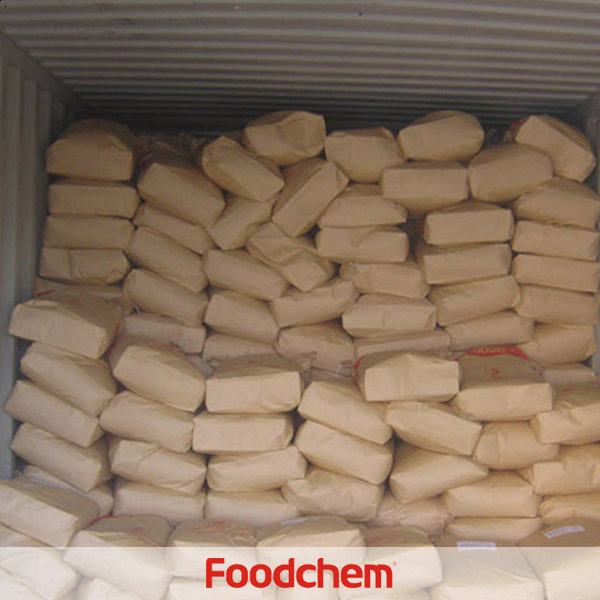 FOODCHEM A : Yes, we can supply gelatin powder industrial grade and food grade. Reshma Q : Hello, do you have fish scale Gelatin? FOODCHEM A : Yes, we have Tilapia’s scale fish gelatin. KemalQ : We want to use Gelatin as a new material to manufacture jelly,first we want to konw about your gelatin before setting a order,please provide the product ingredients,coa,specs,certificate and manufacturer to us,thank you. FerasQ : we want the Gelatin powder with high concentration,without flavour. Could you please advise me how many gelatin powder needs every 100 L of water? 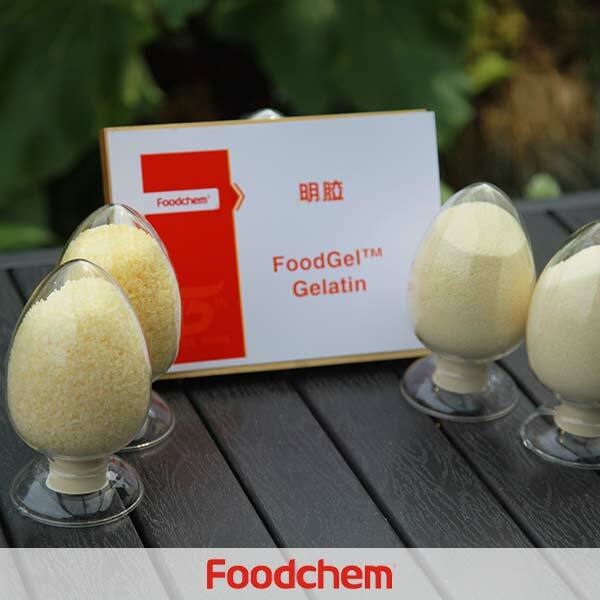 FOODCHEM A : we are gelatin manufacturer in China, different gelatins have different jelly strengths,so the required amount of water is different. 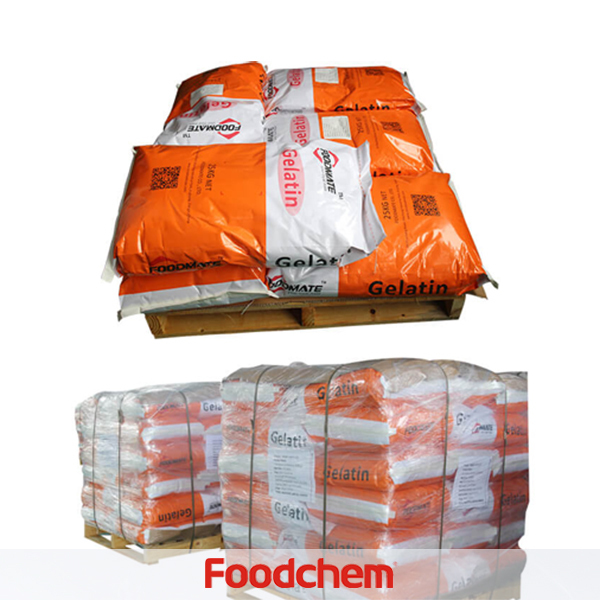 FOODCHEM A : We deal with low viscosity gelatin, but mostly we product gelatin with gelly strength from 120 to 300.